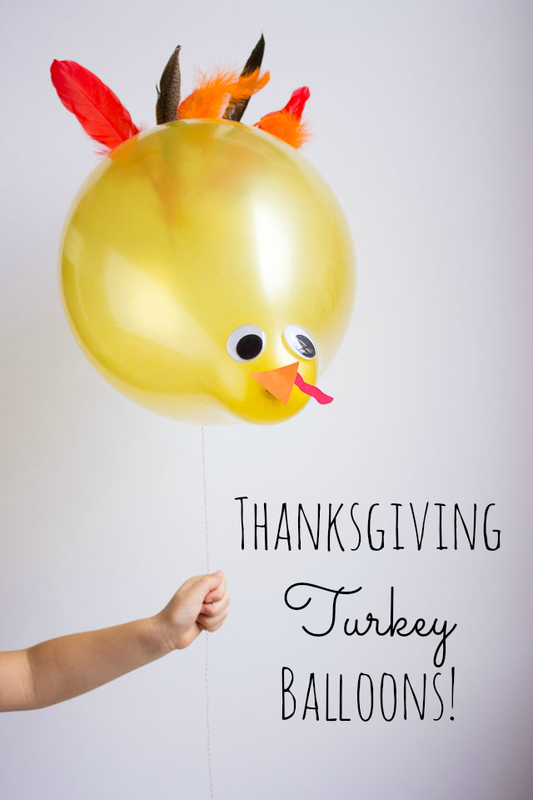 I’ve decided every holiday deserves its own DIY balloon – I couldn’t let Thanksgiving go by without a turkey balloon in its honor! These balloons take advantage of the oblong shape of the balloon by turning it on its side. 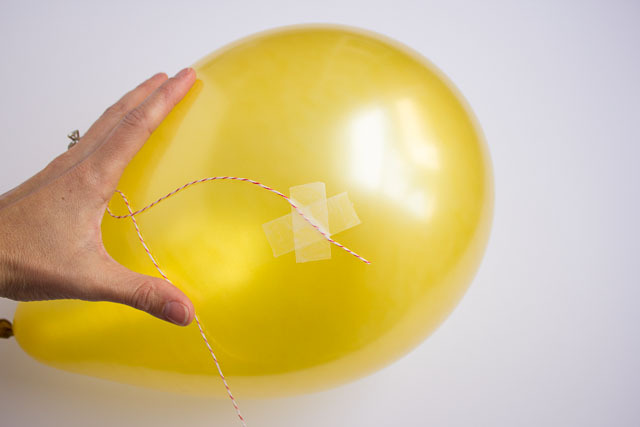 You don’t have to only tie a string at the bottom of a balloon, you can add it to any part with the help of a little tape! 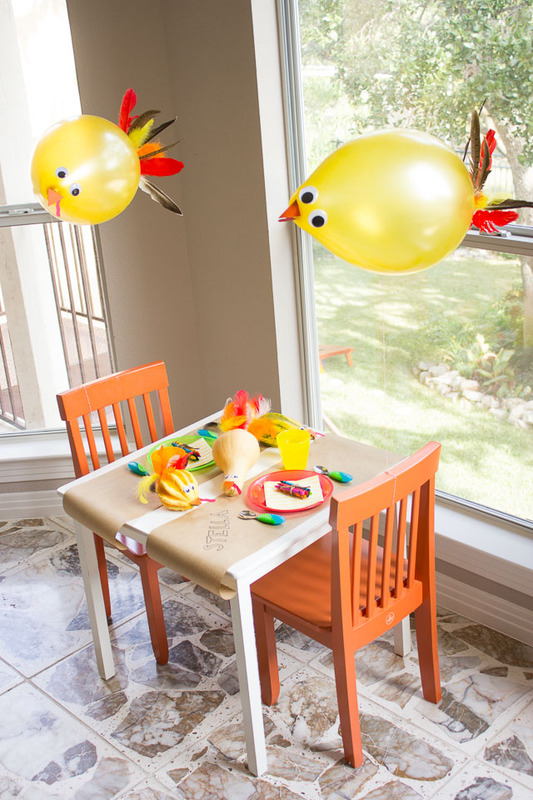 These silly balloons would make a fun addition to a kids table at Thanksgiving – check out how I incorporated these into a turkey inspired kids’ table! 1. 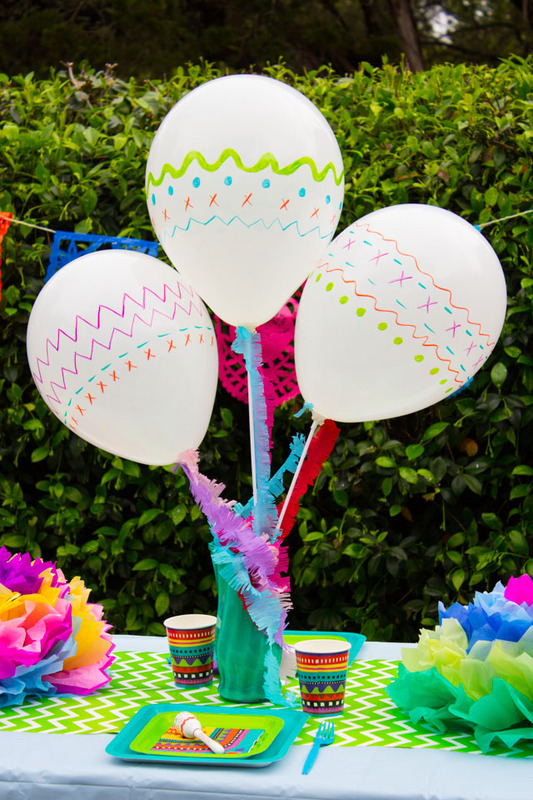 Inflate your balloon with helium – you can inflate it at home with a personal tank or have your local party store inflate them. Expect the balloons to stay afloat for 4-6 hours. 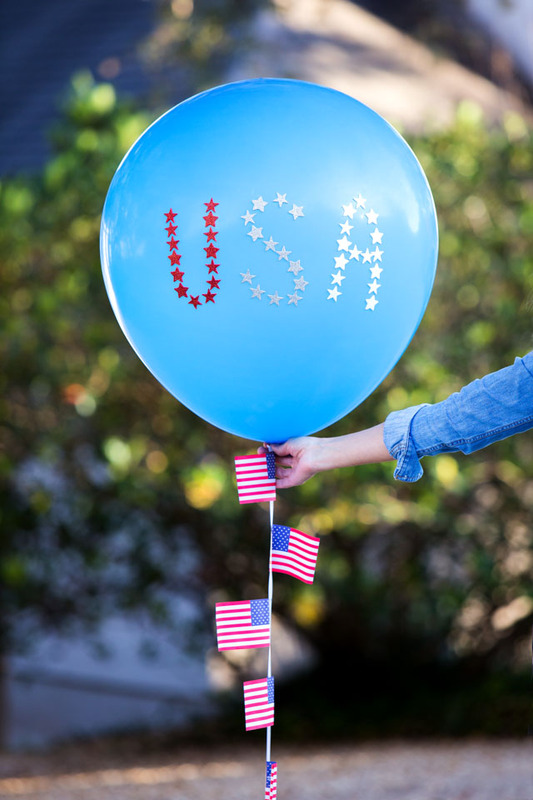 Have the party store add HiFloat to the balloons if you want them to last longer than that. 2. 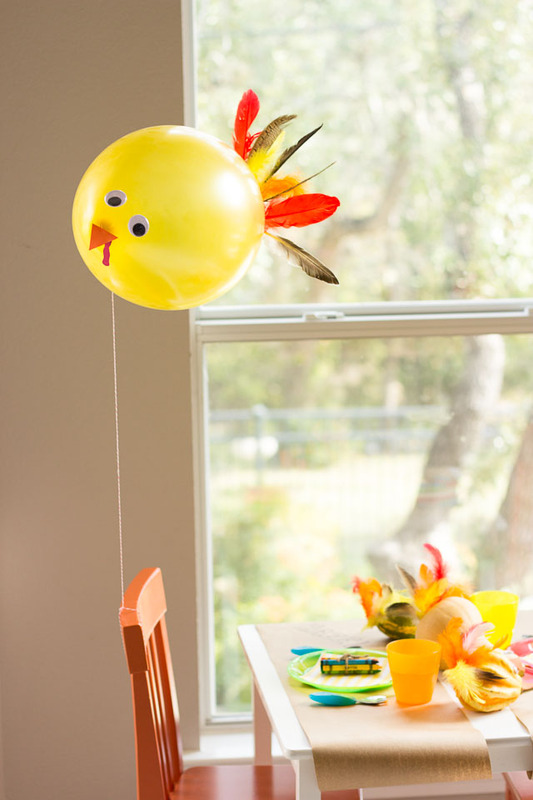 Tape a piece of baker’s twine or string to the middle of the balloon with two pieces of scotch tape. This will become the underside of the turkey. 3. 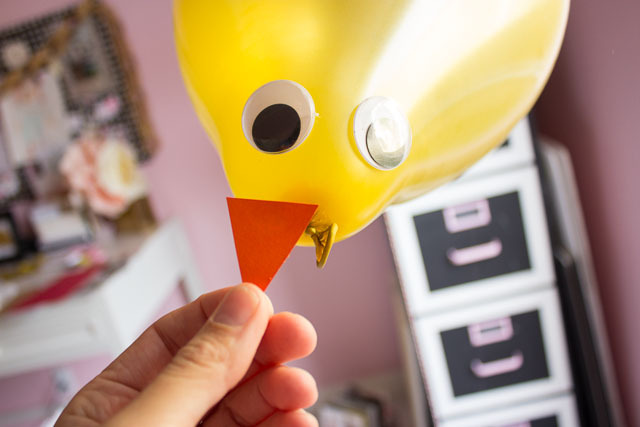 Freehand cut a small beak and waddle from paper and affix them to the bottom of the balloon (where it is tied) with a small dab of hot glue. 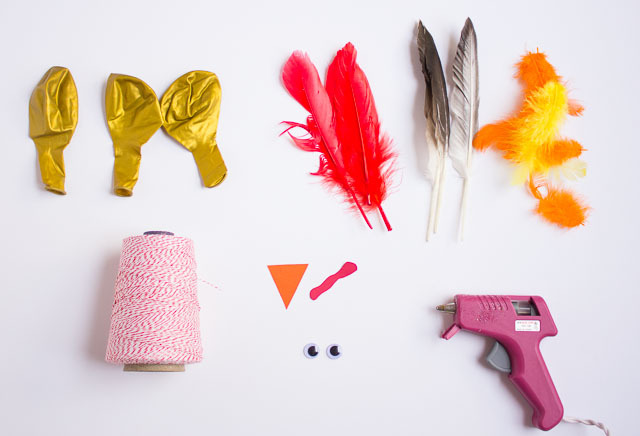 Don’t worry – hot glue won’t pop the balloon! I always use it on low setting just in case, but I’ve yet to have a balloon pop on me. Add two googly eyes just above the beak. 3. 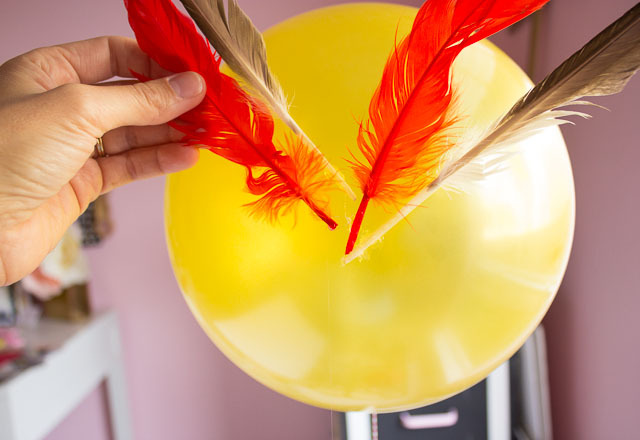 Add feathers to the backside of the balloon with a small dab of hot glue on the tip. 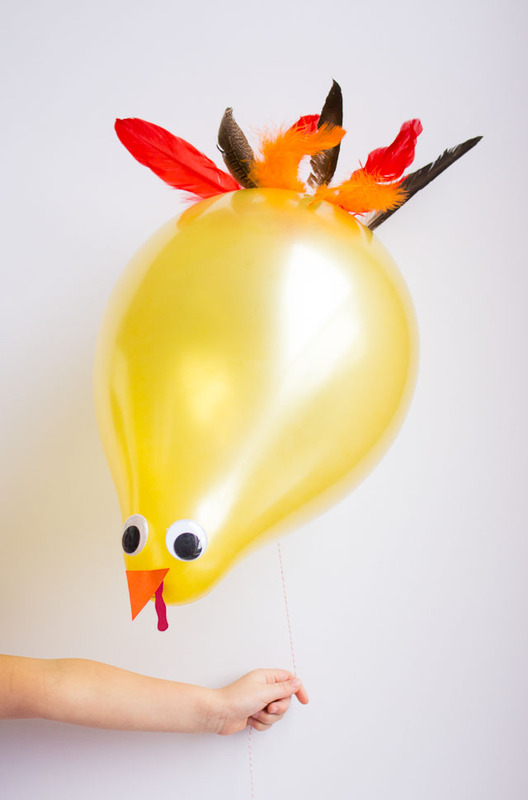 Make sure you place the feathers high enough so that they peek out nicely from the balloon. Keep adding feathers until you think it is full enough or the balloon starts to get weighed down. I found 6 or so feathers to be the right number. That’s it! 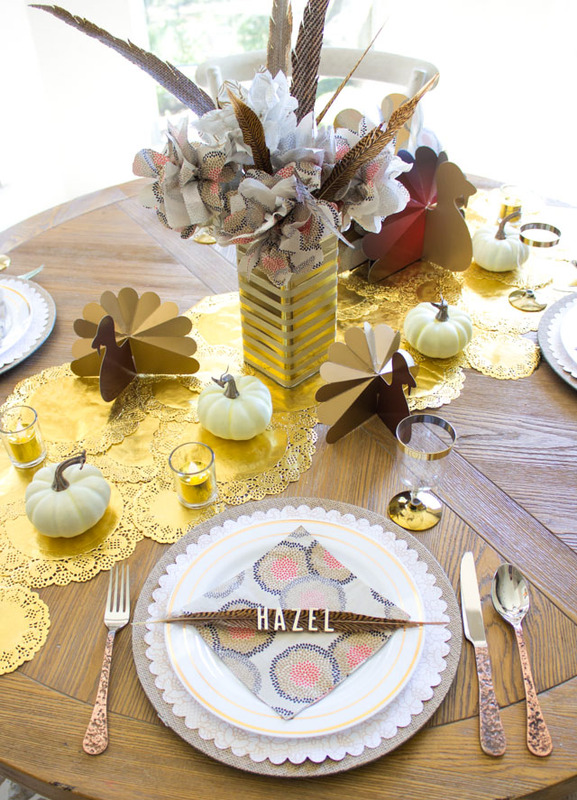 I tied them to each chair of my Thanksgiving kids table for a fun surprise. 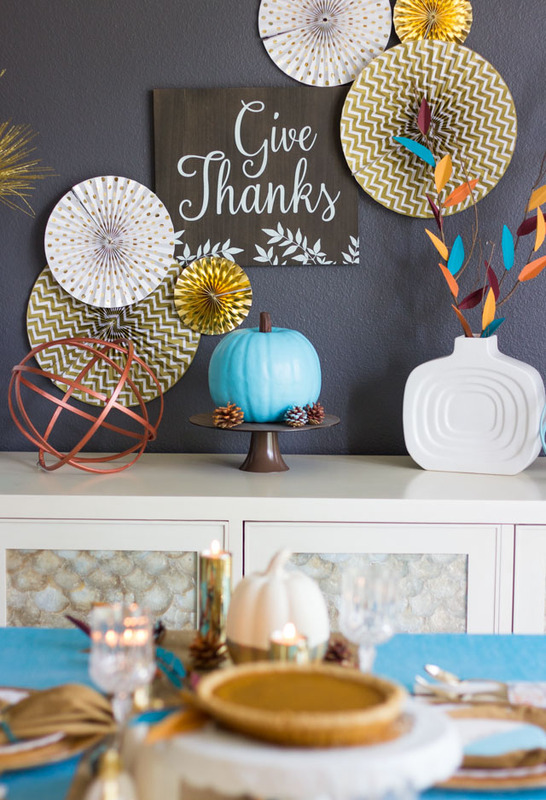 Finish a DIY project lately that you are proud of? 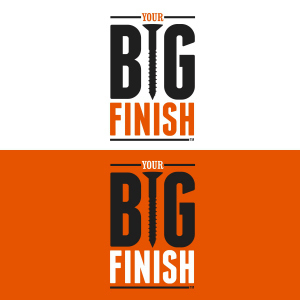 Enter it in BLACK+DECKER’s #YourBigFinish initiative for a chance to win $10,000!